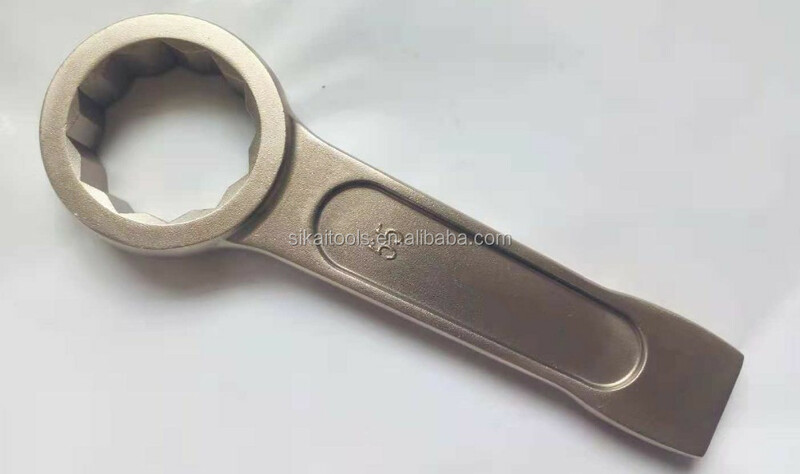 each piece of non spark hammering spanner be packed in cartons with different sizes. 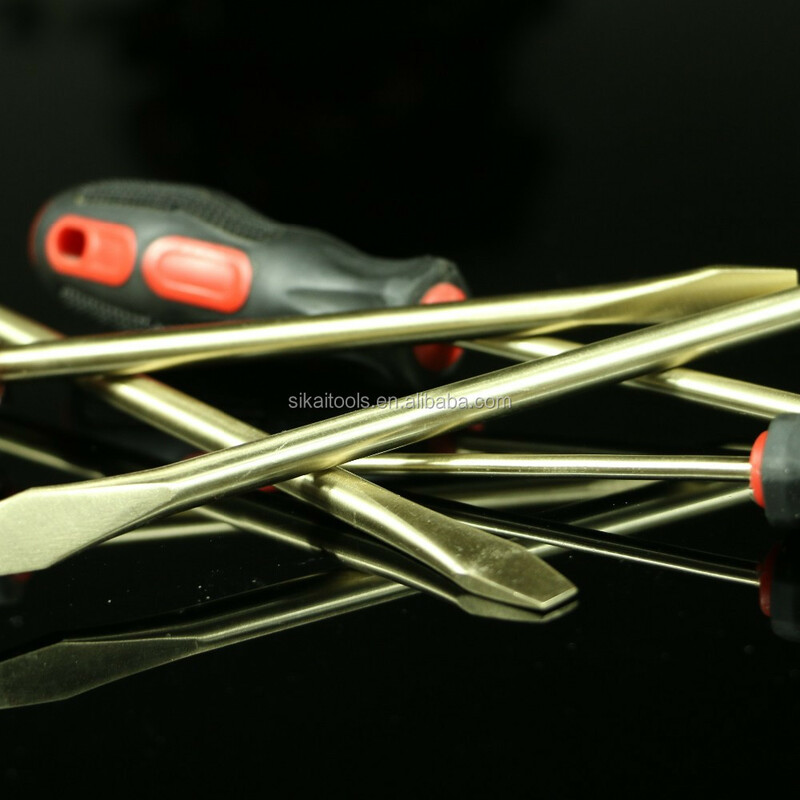 6.Feature: Match with non sparking hammer. 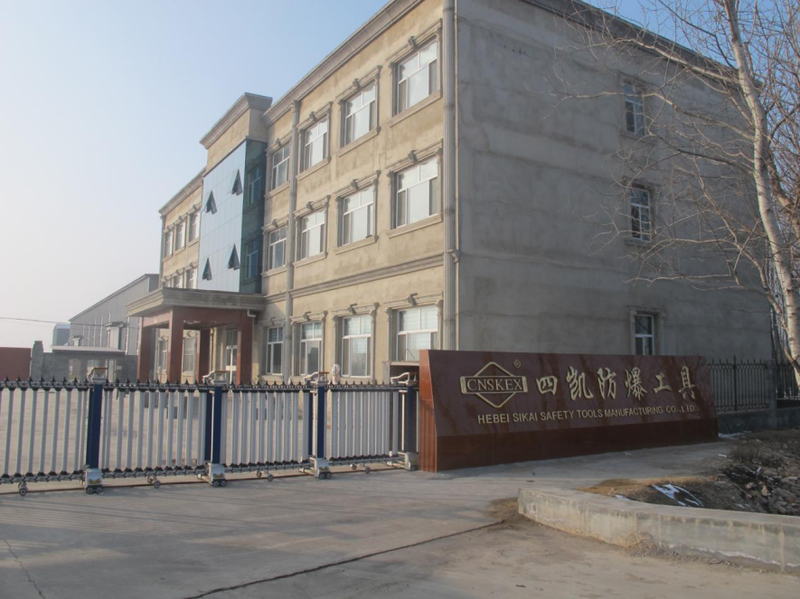 Hebei Sikai Safety Tools Manufacturing Co., Ltd., as a rising star of the industry, established in 2012, lies in BOTOU city of China.Company hold registered capitals RMB31,000,000, occupys 50,000 square meters, specializing in manufacturing Non-sparking tools of the beryllium bronze and aluminum bronze,steel tools.Sikai company is an international professional enterprise which combines the designation and developing,manufacturing and processing,as well as marketing of hardware tools into one whole. 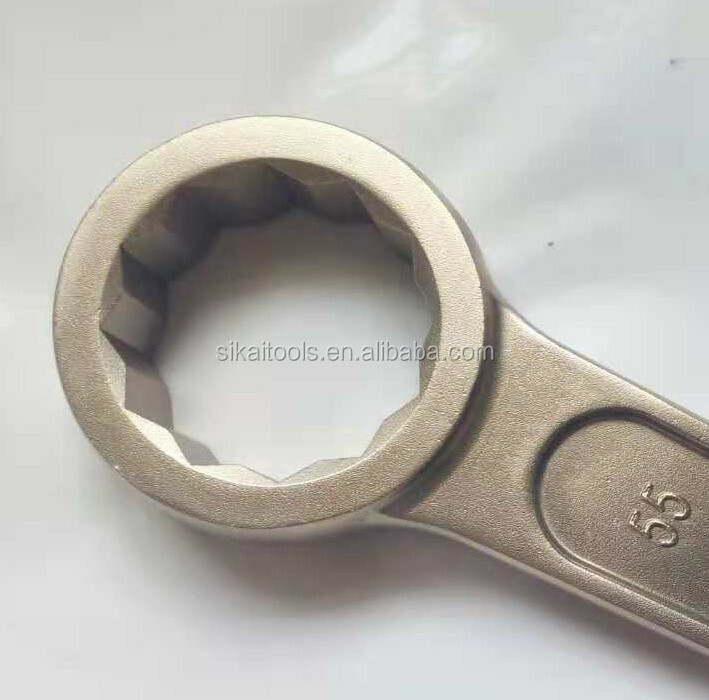 We have over 350 items, over 2000 specifications in Non-sparking Tools.All of tools are strictly in accordance with the DIN standard of Germany and national GB standard of China. 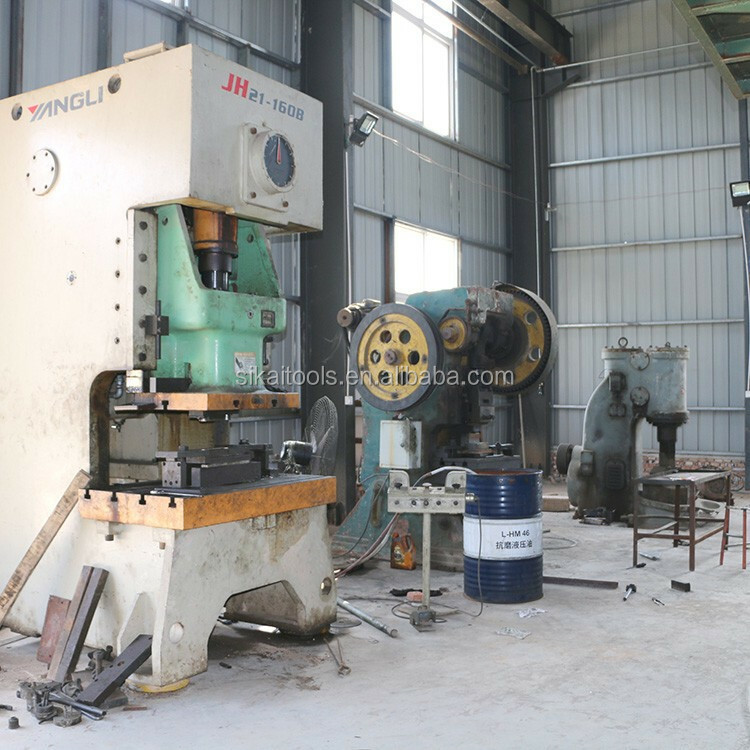 Forged by a large friction pressing machine with one-time molding, our products enjoy a good quality.Under a perfect quality control system,our products have all been through a series of test from the material purchasing to end-product delivery,which ensure a 100% qualified rate before they are delivered out of the factory. 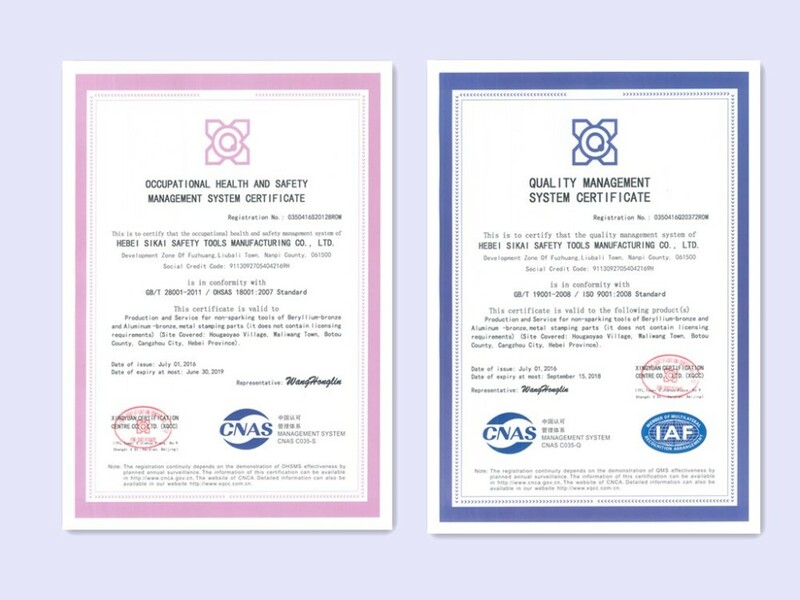 As a rising star of the Non-sparking Tools industry, the company obtained ISO9001 quality management certification and ISO14000 international environmental certification and OHSAS18000 occupational health certification. 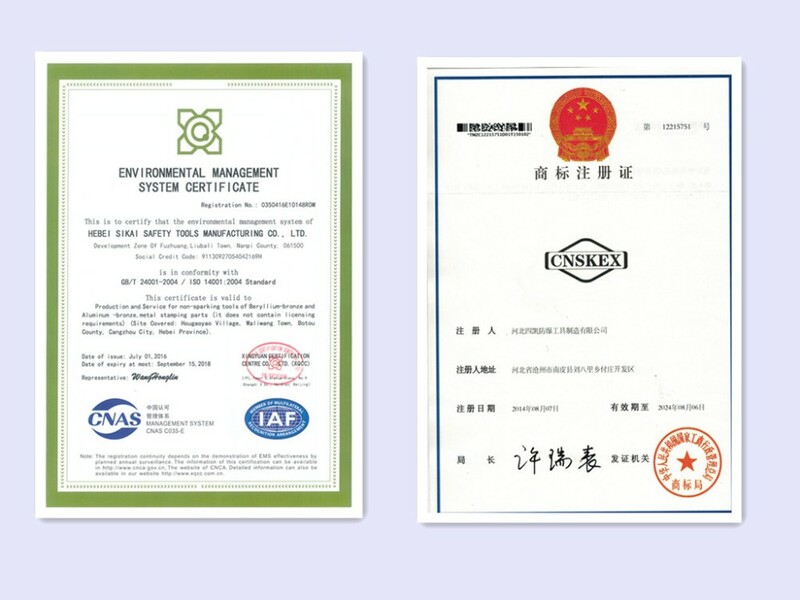 So that products are not only popular in China, but also exported to Europe and the United States, the Middle East, Southeast Asia and other places. 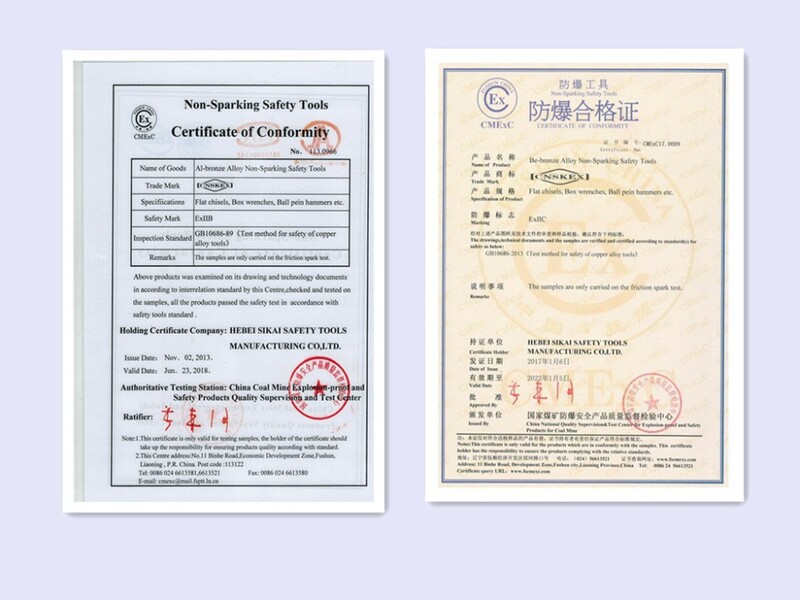 Non-sparking Safety Tools are recommended for use where hazardous, flammable or combustible vapors, liquids, dusts or residues are present and should be used by all industrial safety programs. 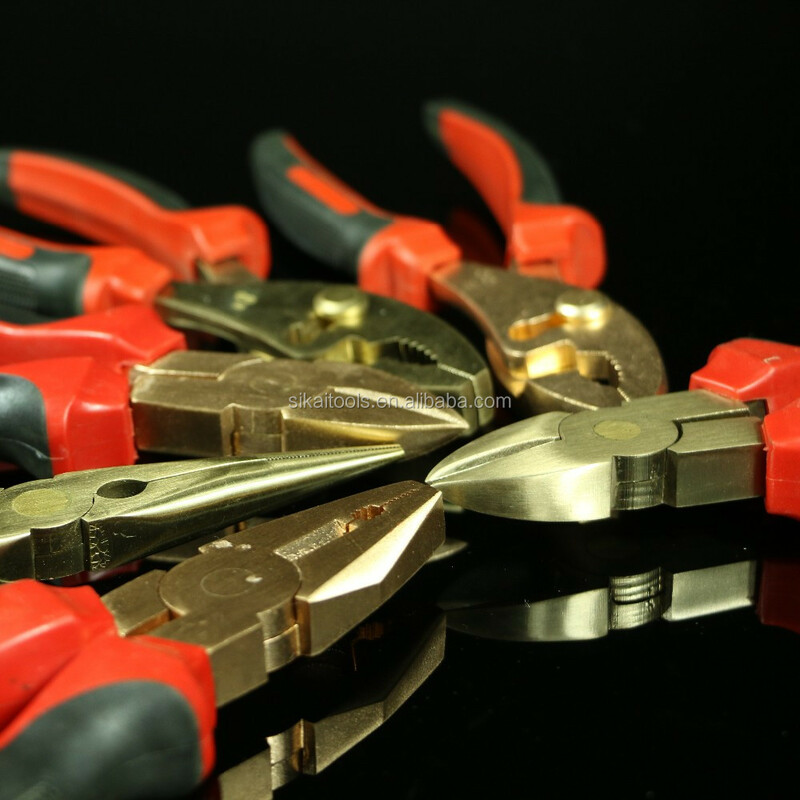 Non-sparking Safety Tools are an inexpensive investment for your company. 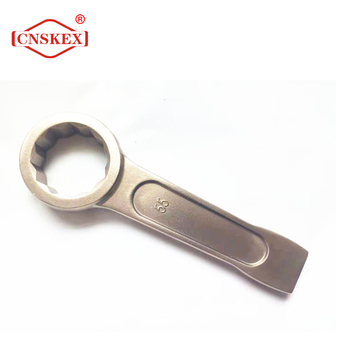 Application: non-sparking tools (safety tools) for hazardous areas to a wide range of industries and in a multitude of environments. 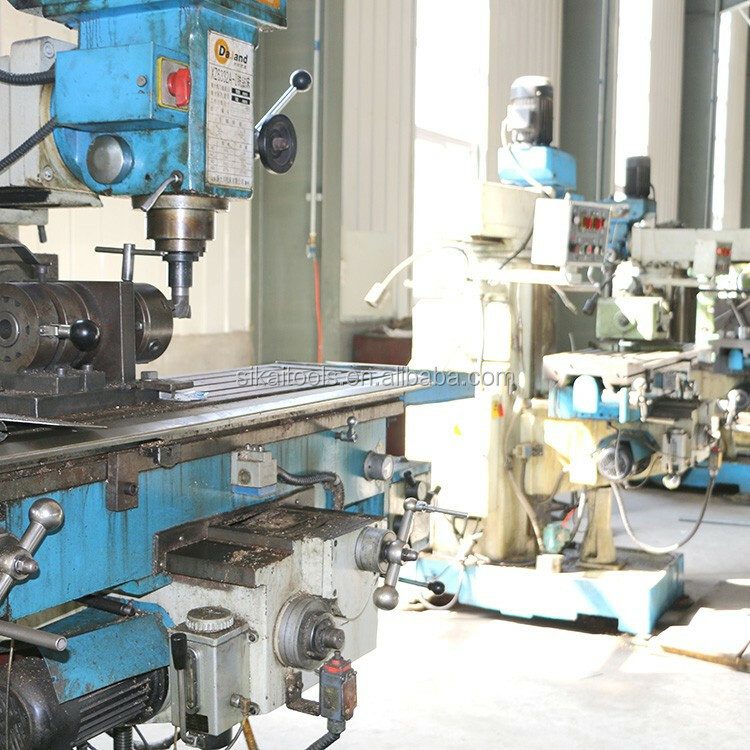 Sectors where our tools often used include oil & gas, power plants, petrochemical, aviation, weapons manufacturing, bomb disposal, Ministry of Defence, pharmaceutical, pyrotechnics, breweries and distilleries, nuclear and local authority utilities. 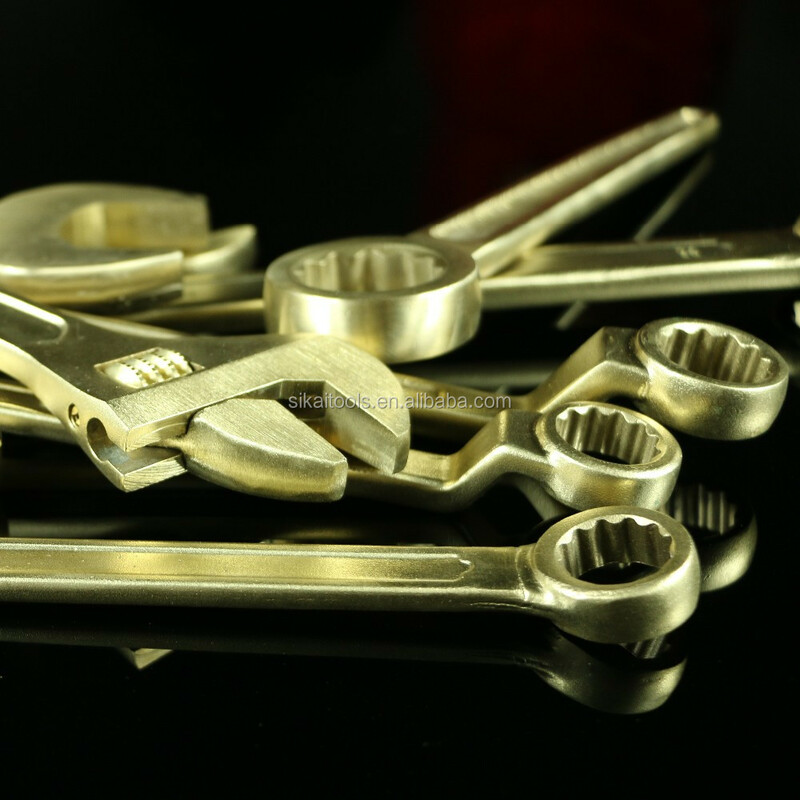 When selecting the right alloy for your non-sparking, non-magnetic safety tools, you have two choices: copper beryllium tools or aluminum bronze tools. 1.Hardness is an aspect to keep in mind in this selection process as well. 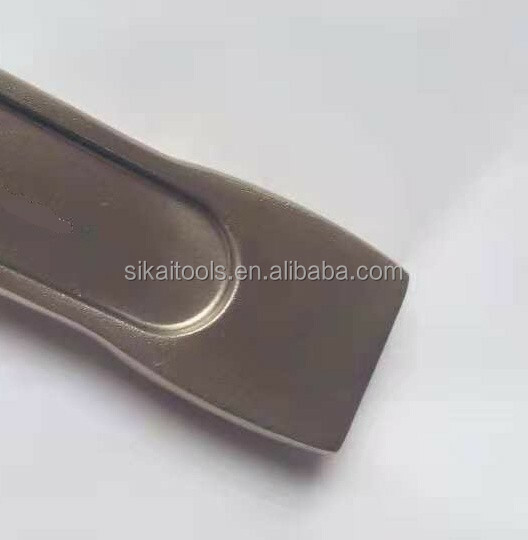 Our aluminum bronze alloy tools have a hardness of 25-30HRC. 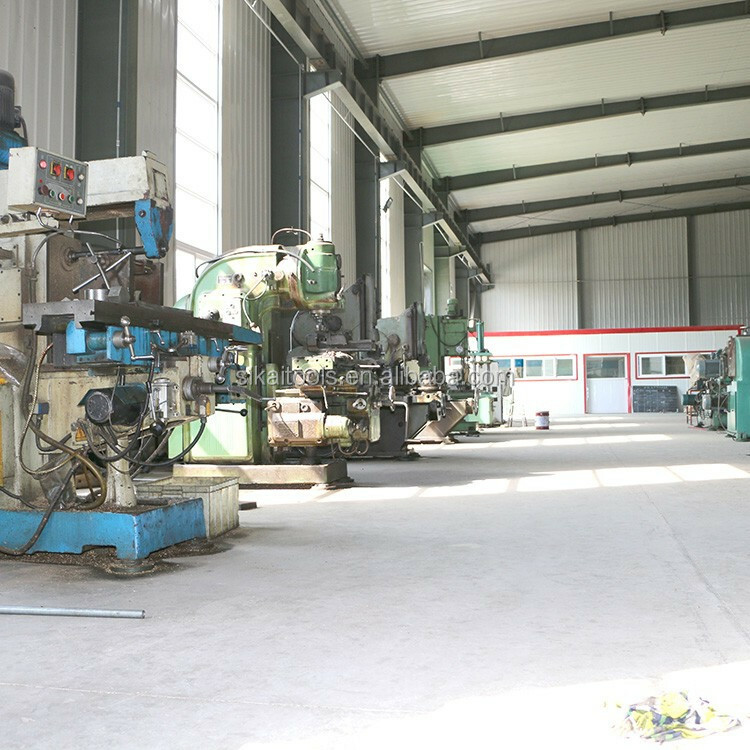 If your application requires a tool with higher hardness rating, copper beryllium equipment, with an HRC of 35-40, is a good choice. 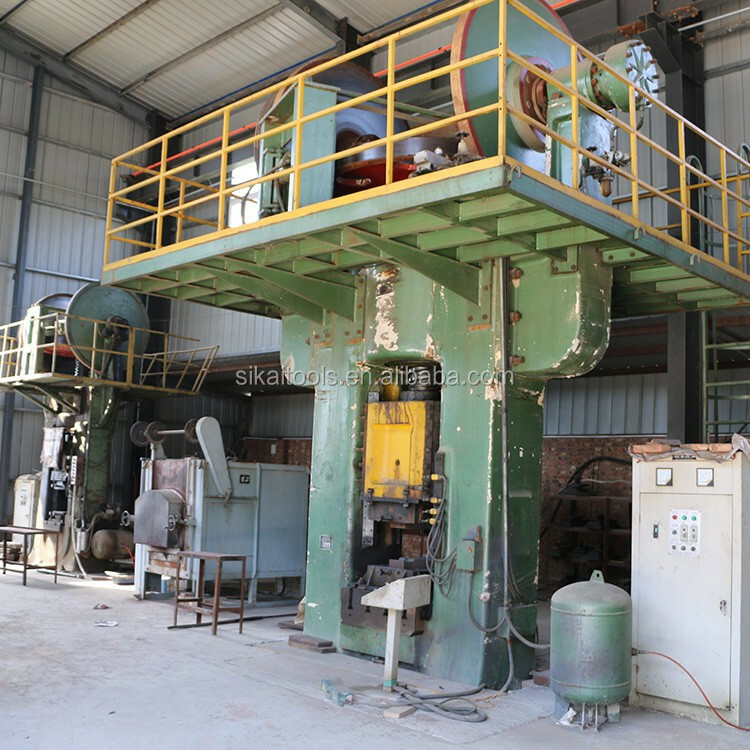 2.Magnetic properties Aluminum bronze equipment features low magnetism due to its minimal ferrous composition. 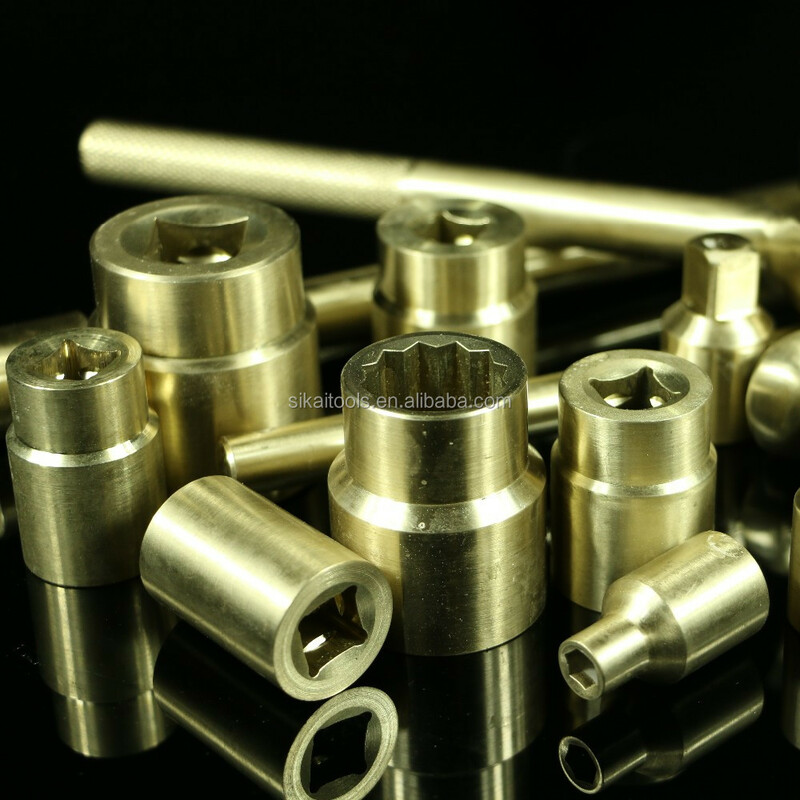 Beryllium copper tools have a more non-ferrous composition, so this equipment is safer for applications that require non-magnetic properties. 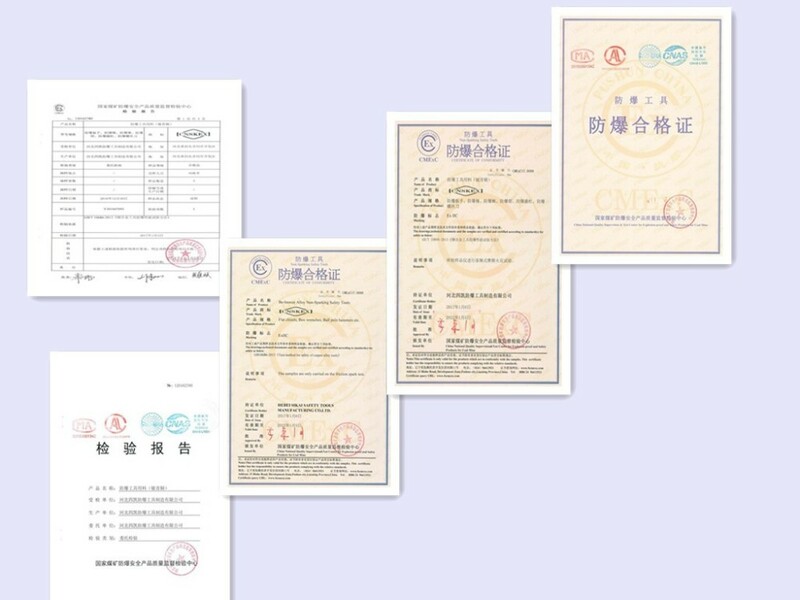 Beryllium copper alloy tools: Be: 1.8-2.3%, Co + Ni: 0.4%, Other: 0.5%, Cu: Balance. Packing Detailed: Each piece of non-sparking tools pack in a polythene wrapper, then some pack in a carton with a layer of shock bubble film. Delivery : By sea, or by air or express as the customers' requirment.